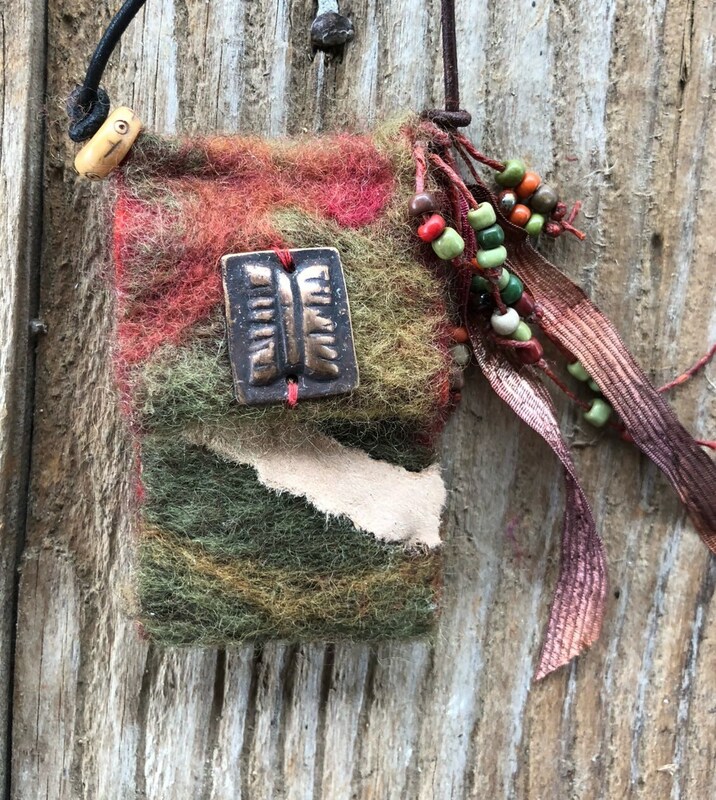 Ashes Butterfly handmade felted Spirit Bag OOAK necklace #2018 cascades from genuine leather dark brown 1 mm distressed cording. 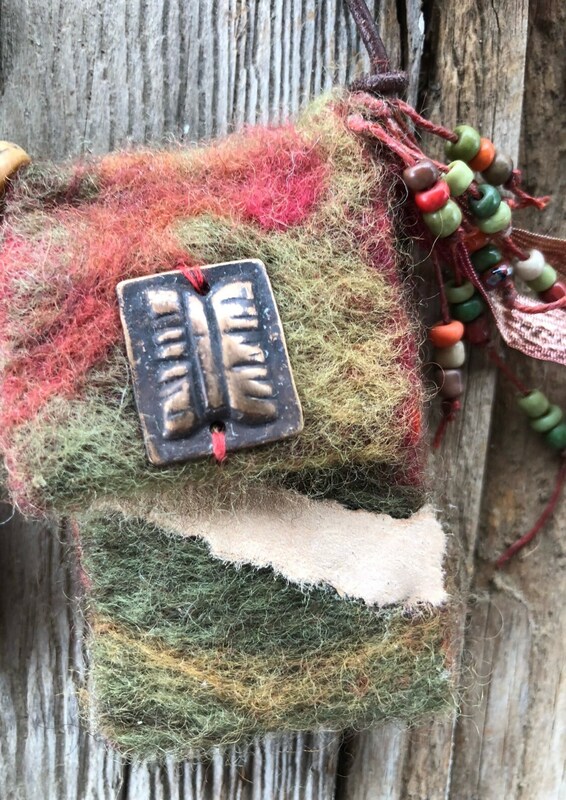 Each bag is one of a kind and has a mohair-like feel. 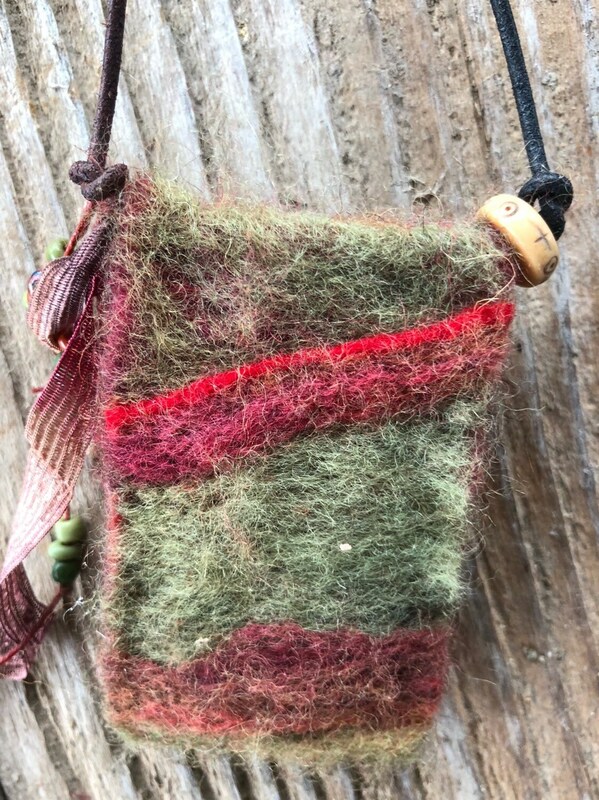 I personally hand felted each bag from wool roving from USA and Australia wool farms. 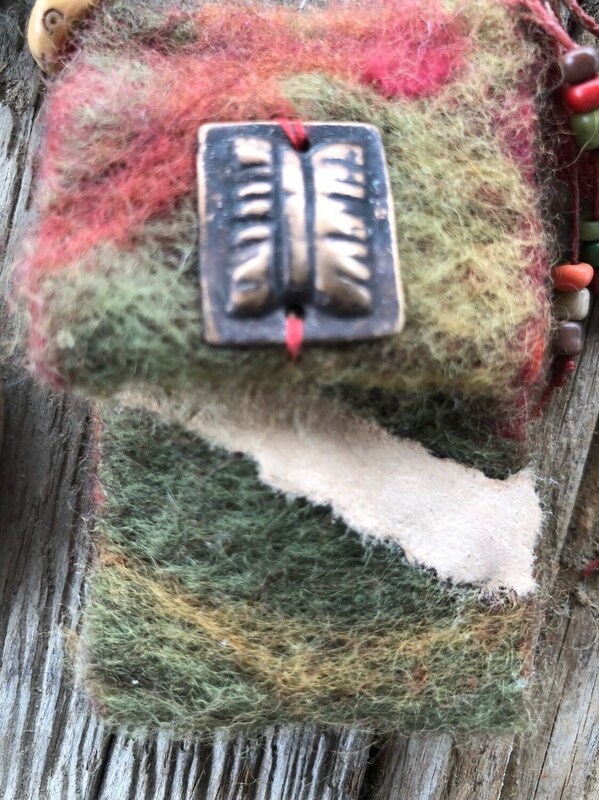 Needle Felting takes many hours of love. 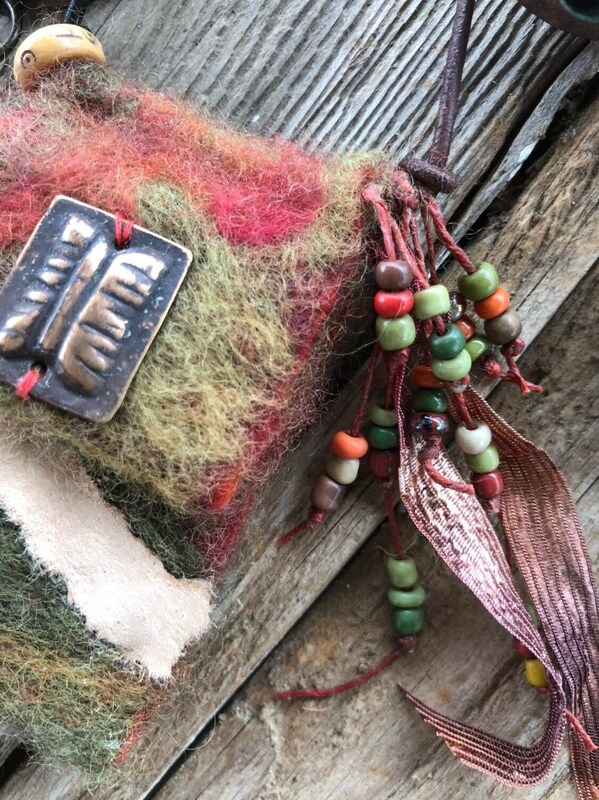 This Spirit Bag is embellished with dangling Myuki beads on waxed cording, a Tibetan script Bead, a Ashes to Beauty rectangle butterfly copper charm and a mule leather strip. You will find a piece of jasper inside the bag. (Jasper is known as a protector). 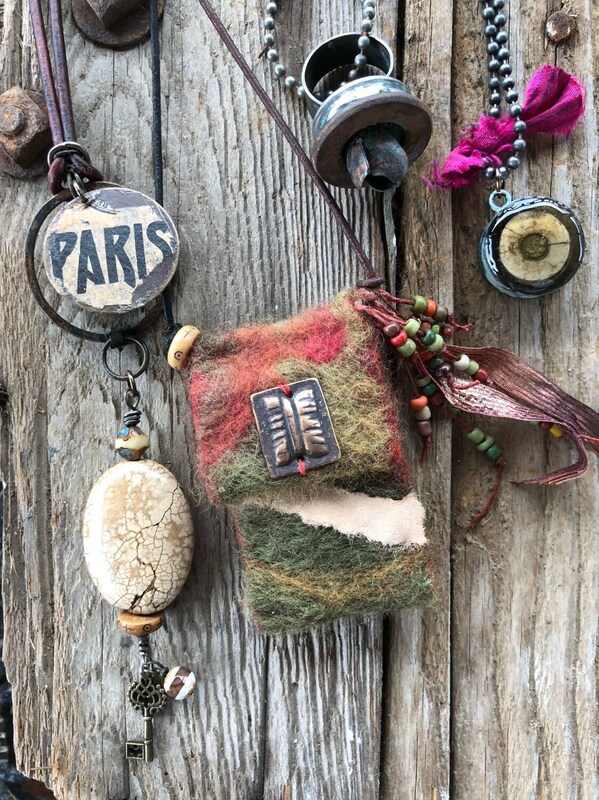 Overall dimensions: approximate 11” L (1 mm) dark brown distressed leather cording 1 3/4 “ W x 2 3/4” L Spirit Bag drop. Necklace: 11” on each side. Total - 13 3/4” with Spirit Bag on each side. Cut cording with scissors to your desired length.